The Indian Cobbler is not seen at every corner these days. This is because footwear has become cheap, salaries have gone up, and people use and throw their chappals (slippers) and shoes. Their numbers will surely decrease but it is doubtful that the small-time cobbler will disappear from Indian roads. Not for a few decades more. The first photo below is shot in Mumbai and shows the cobbler busy repairing a slipper. A customer is waiting. 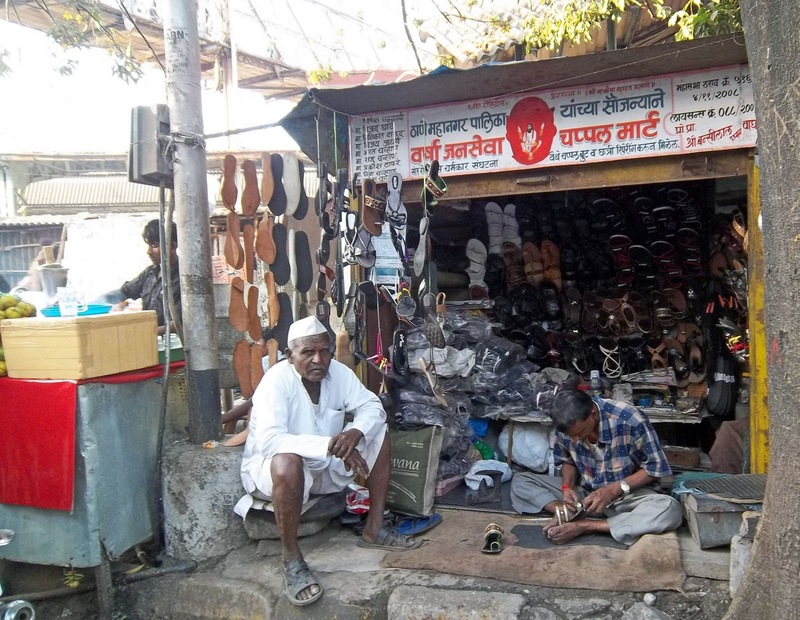 In the cobbler's shop you can see soles and shoes/chappals of different sizes and shapes. This second picture is taken in a small town in Madhya Pradesh. Usually cobblers have brushes to polish shoes as well. These are visible in the picture. A black umbrella protects him from the harsh sun. Cobblers have also become far more expensive than they were. 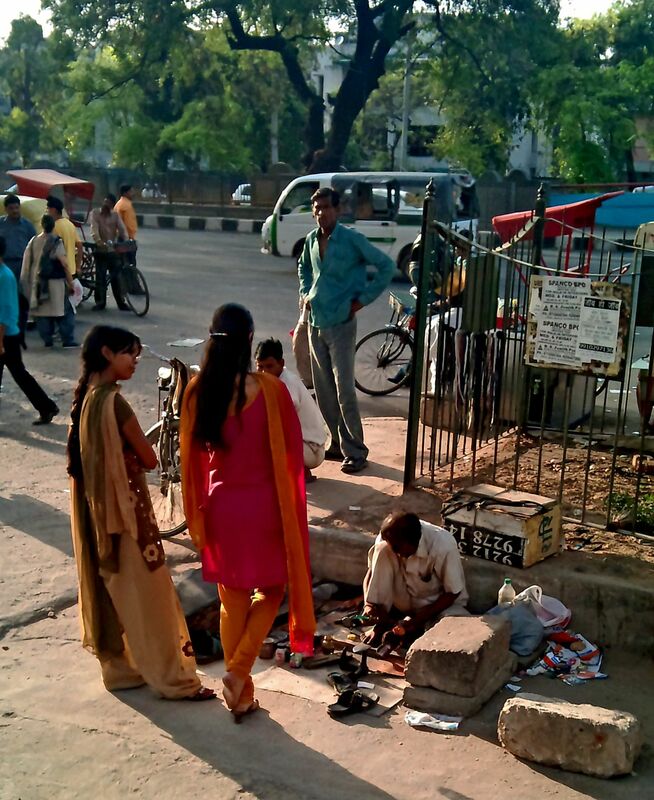 Gone are the days when you can get your slippers repaired for a rupee or two. 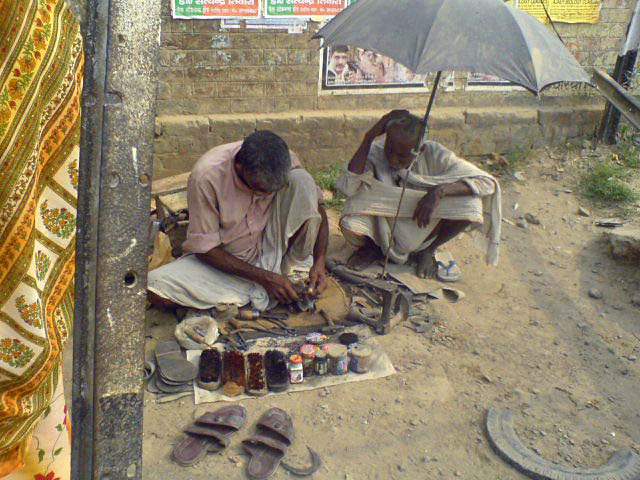 Cobblers often look at the quality of the shoe/chappal and charge accordingly. The picture below was shot in Thane. 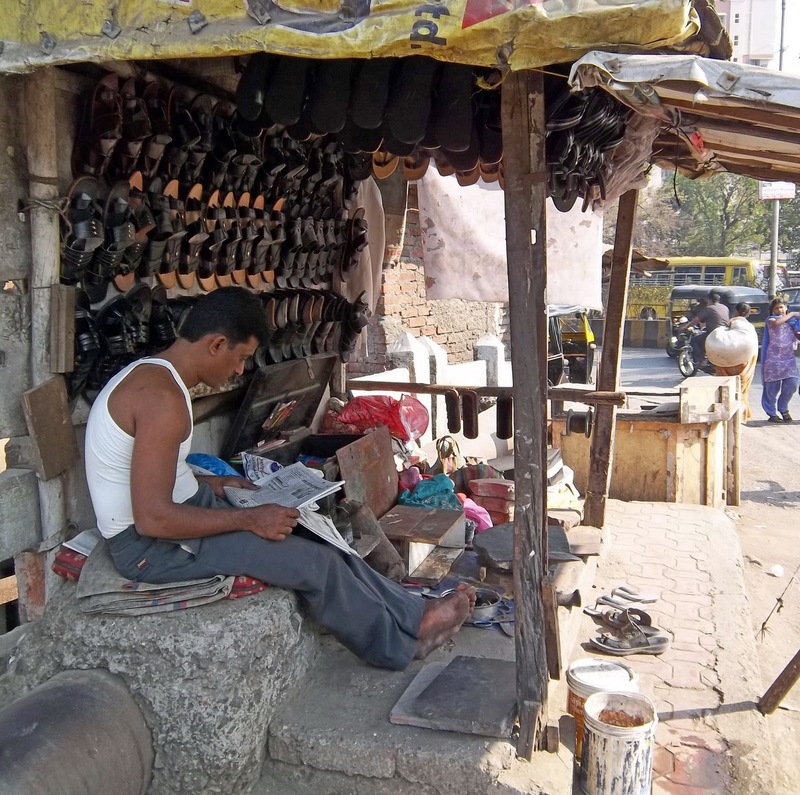 A cobbler is taking a break from work. He is reading the newspaper. The tools of his trade can be seen in the shop on the pavement. A girl waits for her slippers or chappals to be fixed. The cobbler usually does it on the spot.